Roasted Cumin Butter Broccoli is the perfect side dish with hardly any prep time and dripping with flavor! 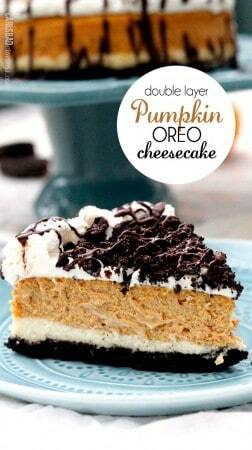 I am always looking for side dishes that don’t require a lot of prep time because after slaving away over the main course, the last thing I want to do is spend time on a side dish. 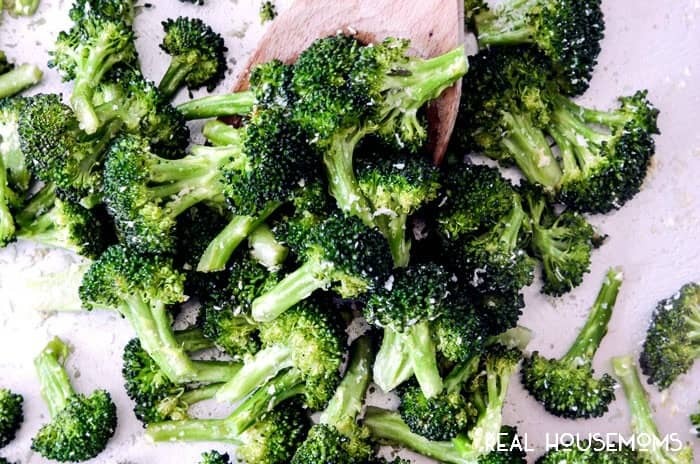 Enter life changing roasted broccoli! 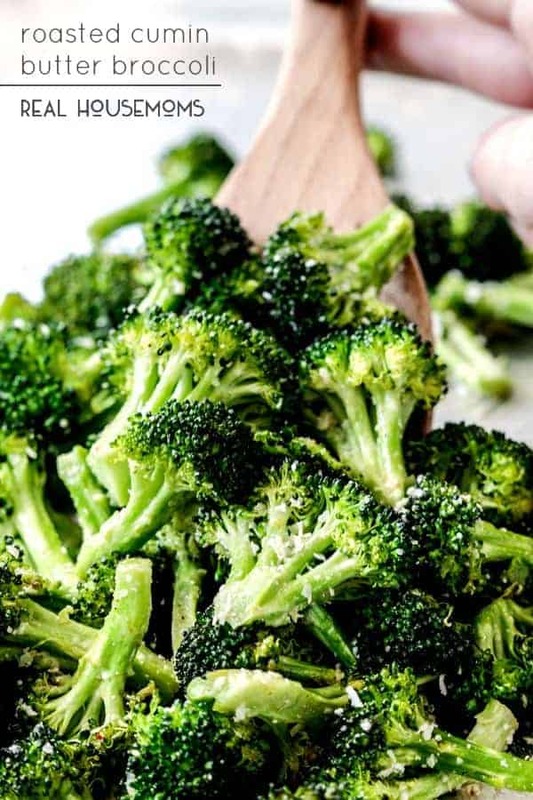 Whenever I am short on time, need a side dish or simply craving roasted broccoli, I toss my broccoli with a little olive oil, salt and pepper, or lemon and Parmesan or my new favorite Cumin Butter – ssooooooo good. Cumin butter is super simple to prepare yet packs an irresistible flavorful punch – you won’t be able to stop munching this broccoli! Simply melt your butter on the stove or in the microwave then mix in some ground cumin, chipotle powder, salt, pepper and a pinch of sugar. Toss your broccoli in the Cumin Butter then roast to desired tenderness and you have Roasted Cumin Butter Broccoli in less than 20 minutes! 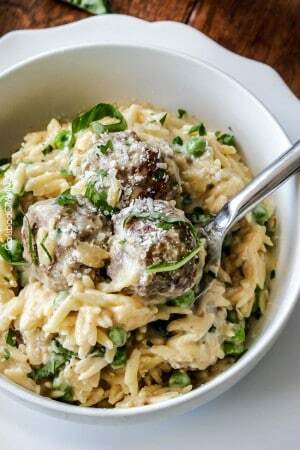 You will be in awe at just how addictingly delicious broccoli can be! Preheat oven to 450 F degrees. Lightly spray a baking sheet with nonstick cooking spray or line with parchment paper. Set aside. Melt butter in a small saucepan over medium heat or melt in the microwave. Stir in cumin, chipotle powder, sugar, salt and pepper. Add broccoli to a large bowl and toss evenly with Cumin Butter. 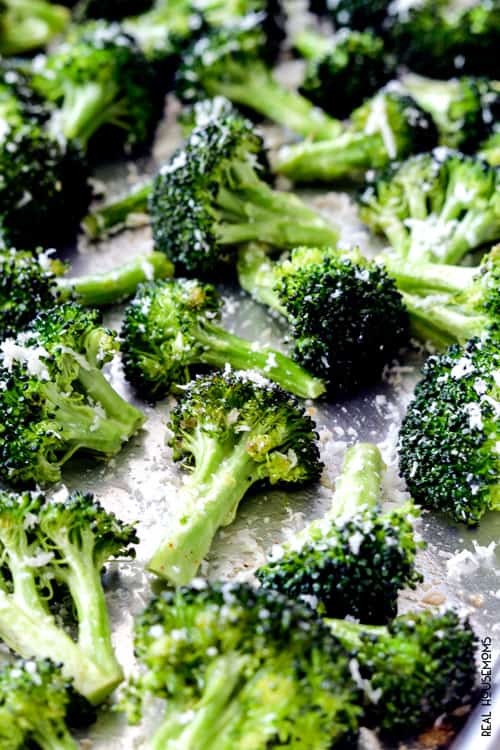 Line broccoli on prepared baking sheet in a single layer and roast for 14-16 minutes or until cooked to desired tenderness. Sprinkle with desired amount of Cotija Cheese (optional) and season with additional salt and pepper to taste if desired.